MTU and microgrid, You’ll know more at Bauma. Smart is a demanding and cool word, even when it’s linked with the word grid. Smartgrids are a really smart formula for balancing the oscillation between peaks in energy demand and the impossibility of regularising the production of energy from renewable sources, which by their very nature vary and are localized in certain times and weather conditions. Lars Kräft, Vice President Industrial Business at Rolls-Royce Power Systems, explains about Mtu and microgrid: «For mine operators, energy costs, which account on average for 15 % of the overall operating costs of mine, are a key factor, and with a demand for electric power of 50 to 100 MW per mine, sustainability, efficiency and the reliability of the energy supply are now becoming increasingly important in the industry. We have identified our customers’ needs and, with our microgrid systems, are now offering them a solution tailored to their specific requirements». How do you assemble a smartgrid? 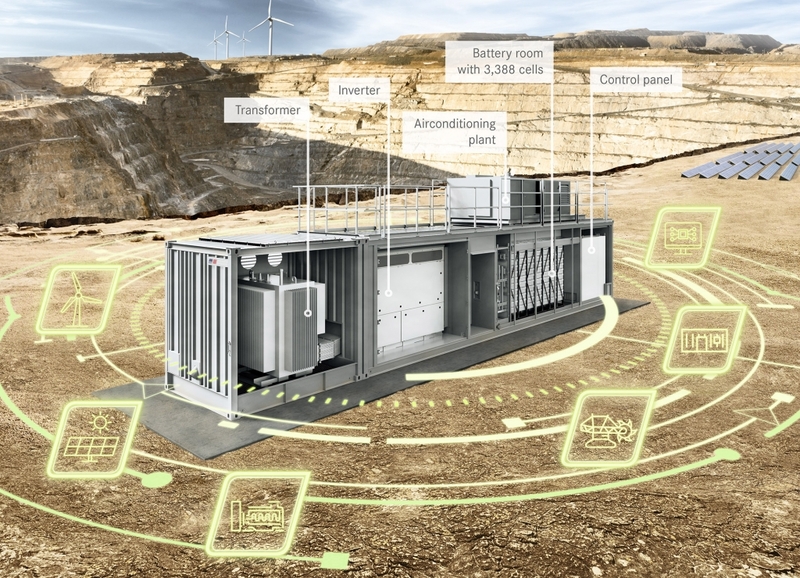 The company explains it to us directly, from the press release about MTU and smartgrid: “Besides diesel and gas generator sets from MTU Onsite Energy, the solutions offered by Rolls-Royce also include battery containers combined with photovoltaic and wind power plants in autonomous power grids. All the components are connected to each other via a smart energy management system, which optimises the way in which the energy is used both technically and commercially. Any excess renewable energy can be stored in the batteries and then made available whenever it is needed. At the same time, fluctuations in power generated from renewable energy sources due to weather conditions and the time of day are compensated for with reliable diesel and gas generator sets, in addition to battery storage systems. The system is thus designed to provide a stable power supply at all times, even when the demand for electric power is high and when systems are required to operate around the clock”.